As national governments increasingly recognize the importance of AI to their economy, conversations about how these governments should support its development have almost exclusively focused on the major world economies, particularly China, Europe, and the United States. However every country, not just major superpowers, can and should evaluate how they can reap the benefits of AI for themselves. Recognizing this, the United Arab Emirates has taken a series of ambitious steps in recent months to ensure that it can take full advantage of the opportunities AI can offer, putting the UAE on track to become a leader in AI in the Middle East. 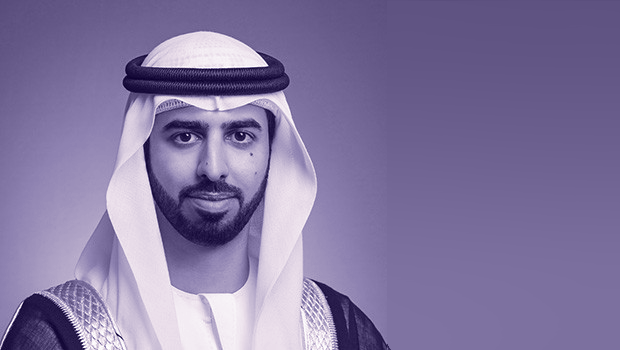 In October 2017, UAE Prime Minister Sheikh Mohammed bin Rashid Al Maktoum announced the creation of the UAE Strategy for Artificial Intelligence and appointed Omar Bin Sultan Al Olama as Minister of State for Artificial Intelligence, the first-ever of such positions in the world. The UAE’s AI strategy has five goals: 1) achieve the objective of the UAE Centennial 2071, a 50-year plan to make the UAE the world’s best country by 2017; 2) boost government performance at all levels; 3) use an integrated smart digital system that can overcome challenges and provide quick efficient solutions; 4) make the UAE the first in the field of AI investments in various sectors; and 5) create a new vital market with high economic value. Though the government has not yet released the full strategy, at the recent UAE-run World Government Summit in Dubai, Al Olama shared some details, indicating it will focus largely on the application of AI to government services and sectors crucial to the UAE economy, such as infrastructure and energy. Interestingly while China’s national development plan for AI, which is by far the most comprehensive of any national effort to date, heavily emphasizes the development of AI within China, the UAE’s strategy places a greater focus on the adoption and use of AI. This is a smart move for the UAE, which lacks the major technology industries of China and the United States, since use of AI could likely be a more powerful driver of economic growth than its development. The stakes for the UAE, when it comes to AI, are high—a recent report from PwC Middle East estimates that AI could contribute $96 billion to the UAE economy by 2030, or 12.6 percent of its GDP. In addition to its AI strategy, the UAE has also taken several other steps that could help secure the benefits of AI for its economy. These include major subnational strategies, such as Dubai’s Autonomous Transportation Strategy, which aims to make 25 percent of all transportation in Dubai autonomous by 2030, and smaller, yet still important, one-off efforts to deploy AI for specific purposes, such as the UAE’s Ministry of Interior’s plan to replace immigration officers in airports with an AI system by 2020. Though the full details of the UAE’s AI strategy remains to be seen, it is encouraging to see the country recognizing the opportunities AI can offer. Not every country can be home to a thriving technology industry that leads the world in AI development, but all countries should recognize that they can benefit from AI adoption and follow the lead of the UAE, as well as countries like Canada and Japan, to secure these benefits.